As a member of the Brussels Brontë Group you are, twice a year, invited to a lunch; in the summer, normally at the Belvue museum restaurant and, in the winter, at Carpe Diem. It is always a great pleasure to meet other members of the group, the atmosphere is great and the discussions never cease. Especially, at the Christmas lunch. It is not only a lunch, but accompanied by various pieces of entertainment under the guidance of Jones Hayden. The quiz, put together by Jones, is testing our knowledge of the Brontës, a theatre play performed by members (it turns out that Brontë members are very talented in many different fields), singing, poetry reading and much more. At the end there is a lottery with all prices connected to the Brontës. It was in this lottery that I won Becoming Jane Eyre last year. I am quite familiar with the story of the family and at first I could not really engage in the book. It is very well written, beautiful prose. It follows the thoughts of Charlotte, Emily, Anne, the father and a nurse helping the father during his convalescence after his eye operation. Sheila Kohler lets us into the minds of the sisters and how their experiences in life has found its way into their books. We hear the thoughts of the father, always somehow distancing himself from his children, except possibly from Branwell, the promising son of which became nothing. The more I read however, the more I do engage in their story and destiny. 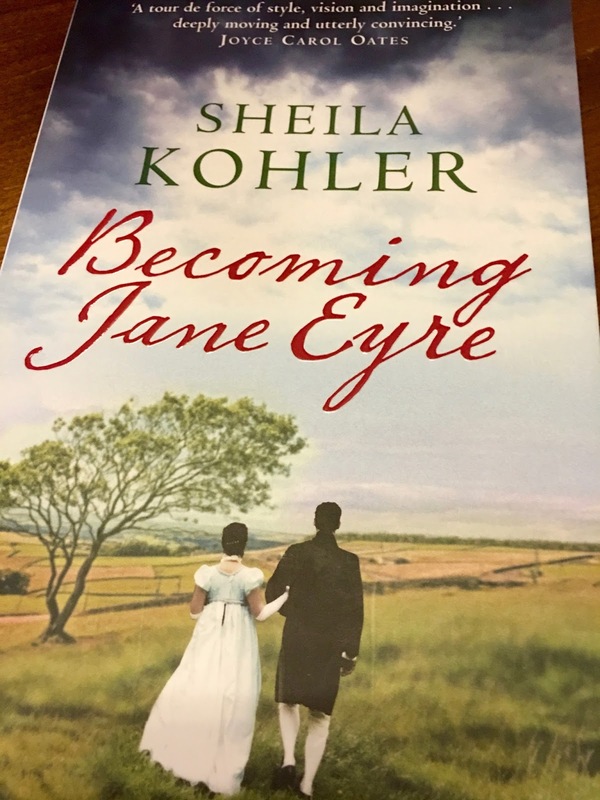 Sheila Kohler has integrated happenings in their life and shows us how these events have been woven into their stories. It is very delicately and respectfully done, and towards the end of the book you feel their pain and the solitude of their lives, which were rich in literature and work, but somehow seemed to lack the spirit of life. An easy readable and thought worthy book on the life of the Brontës, which has given me another dimension of their writings. Kohler carefully guides you through their personalities, and characters as we know them. In the end of the book there is a chapter ”A conversation with Sheila Kohler”. Here is her answer to the question ”How long did the research for the novel take? Were there moments in writing the book where your creative impulse went in one direction and the truth of Charlotte Brontë’s life went in the other? Which did you follow? I think Sheila Kohler has managed to stay true to the sisters, and the areas where she has let her imagination flow, she has nevertheless held back in line with their characters. A different read on the Brontës, and a dimension of their lives, which can only be guessed, but nevertheless seems realistic. 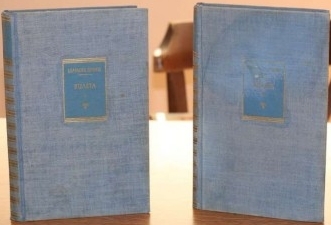 In this article the translations of Villette and The Professor that were published in the countries of the former Yugoslavia will be described, except for those from Slovenia (and Macedonia), which were dealt with in the previous article. 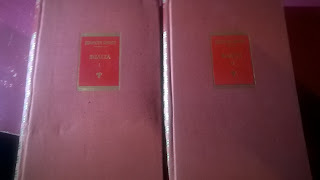 In these countries – Serbia, Croatia, Bosnia-Hercegovina and Montenegro – it is essentially Serbo-Croatian that is being spoken, which, incidentally, I forgot to mention in the list of languages that have a Villette translation. Because Serbian and Croatian can now be regarded as two languages – both have their own translations - it means that the amount of languages for that novel is raised to 31. 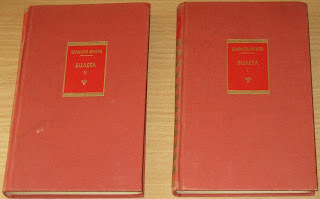 The first Villette in (Cyrillic) Serbo-Croatian was published in 1956 in Montenegro, in the town of Cetinje. 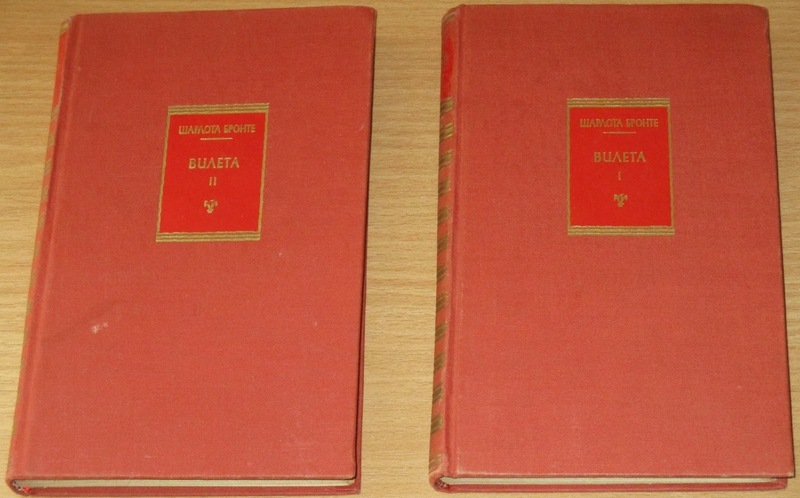 It was published in two volumes, of 303 and 291 pages, translated by Tadija Gavrilović, and published in three versions, with red, blue and violet covers.